Should manufacturers be counting options and letters of intent toward program certainty? We’ve always thought this was pretty cheeky, but in reality there is a reasonable foundation and history for doing so. Years ago Boeing regularly ridiculed Airbus for announcing “commitments,” denigrating these as not being “real” orders (and, of course, literally they weren’t). But then came the losing battle between the A320neo and the 737 MAX. Lo and Behold, Boeing touted “1,000 orders and commitments” for the MAX in a PR effort to bolster the competitive position of the MAX. Of course, these “commitments” (in the form of options, MOUs and LOIs) converted to orders eventually. Today Boeing openly touts its orders, options and LOIs to make the case that the 777 Classic can maintain its current production rate of 8.3/mo right up until the 777X enters service in 2020. Adding a new dimension to this otherwise unconvincing case, Boeing CEO Jim McNerney adds “sales campaigns” to the mix. It’s one thing to be confident of option and LOI conversions to firm orders for a new airplane or one in its mid-life. It’s quite another to attempt to make the case for a plane that’s starting its nadir. Airbus has the same issue with the A330 Classic. The prospect of converting options and LOIs to firm orders is more convincing for the A320neo, 737 MAX, A350, 787 and the 777X. The latter has 300 orders (resting at just 66 for the moment) and commitments (principally LOIs). We have no doubt these will become firm orders. By these standards, Bombardier is better positioned with its CSeries than most acknowledge; it has 445 orders and commitments (but just 201 firm orders) for the airplane. These commitments should convert to firm orders, eventually. More concerning is the quality of the skyline. Odyssey Airlines, a start-up, seeks an odd funding mechanism to capitalize the carrier. Republic Airways Holdings continues to throw cold water on the prospect of its taking its large order (thought BBD continues to insist it has a firm contract with substantial penalties for cancellation). Porter Airlines has a conditional order that depends on government approval allowing jets at and expanding Toronto’s Billy Bishop Airport. Our information is that Airbus will proceed with the A330neo. Overlooked in all of the discussion is what will happen with the A330-200, considering that sales in recent years have shifted to the larger -300 model. We believe the -200 will also get the neo treatment. The A330-300 doesn’t have the range of the Boeing 787-9. For those few airlines that need a range of around 8,000nm, the A330-200 comes close at 7,150nm and the neo would add perhaps 400nm. With regards to the 777x vs A350 I have seen any one taking A350 orders and commitments to the table, while the 300 orders for the 777x are a given in the media. Boeing gets away with it for unclear reasons. I can even see Airbus being at peace with it, being an underdog has its advantages and the industry knows the real situation. I think the headline figure should be consistent with the accounting standards each mfr operates under. Generally though, since an option, MOU or LOI can contain binding terms and since even a firm contract can be cancelled, I’d say that in economic upswings I see no problem with options and MOUs. LOIs I’m less keen on seeing included. Re the 330neo, the FG article (need to log in) in the past few days talks about a 20 year production life, with 1000-1200 sales forecast. 20 years seems a long time to me to be just a neo, especially since the 787 will presumably be re-engined itself mid 2020s. So, does this suggest Airbus might spend a bit more on updating other elements than was originally mooted Scott? The A330 ( or any other Airbus type ) has not been “static” during its lifetime. Expect these improvements to continue in the future on a steady pace. I’m aware of the incremental upgs Uwe. What I was thinking of was something more akin to the NG ==> MAX on the 737, given the 20 year lifespan being touted. More a (modest) step change than increment. What potential do you see for clearing out 1960 era fuzz from today’s A330? Just like for the A320 NEO we could see some aero tweaks ahead of the engine upgrade. I’m not knowledgeable enough to make suggestions about ‘clearing out fuzz’, but the sort of step changes I was thinking of were any aero mods that might now be possible given advances in cfd (so long as they meet Airbus’ IRR reqs of course), seeking commonality with the 350 where it can offer cost benefits over maintaining separate parts lines (eg could the 350 nose be grafted onto the 330, and would this be beneficial? ), and so on. I would expect to see more electric actuators come into use. ( Will happen to the A320 first is my guess ( tests running )). lot of newer software features could find their way into the A330. .. the advantage of having a well designed software controlled airframe. No idea about Airbus laminar flow testing ( A340 outer wing planned for this year) will transpire into new or NEO types. We expect the A330neo to be a minimum change approach in order to have a 2017 EIS. We are skeptical of the 1,200 unit forecast. Scott, can you elaborate on your skepticism regarding the 1200 orders. I have my own ideas about that (I agree with you) but your guys are way more knowledgeable about it. I’m sceptical of Udvar’s forecast too. 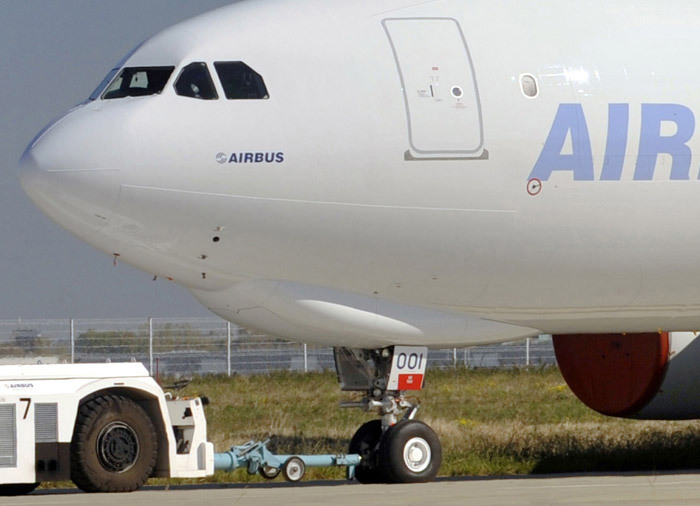 However for Airbus the ROI should be there within a year or two, so an easy business case. The “minimum change” beancounter approach is useally there to be violated from the start. I wonder what Airbus has up its sleave when the program is launched. An overall production average of 4-5 a month through to 2030, should get you about 600-700 units. It’s still a good investment if you can keep it to around $1 billion. In order to keep the 2017 EIS, the A330 NEO might get the same makeover the A320NEO did. I suspect lessors are keen on the A330 NEO, to keep Boeing honest on 787 pricing, regardless of whether they buy any. i.e. lets assume this is a trap laid out for Airbus ;-? I believe Options and LOI are relevant to the mfg internal business case with the right filtering. I.e. you should have a fair idea in discussions with your customers how those will play out. And do you really count the “tanker” programs? That’s not commercial and I believe belongs in a separate category as they have noting to do with the commercial side other than timing (when do you need it and what is available to do it with). The other part of it is some historic filtering in what the percentages have been on average that did get turned into firm. Filter as well basing it against a new offering(s) since those were put into play, whole new ballgame develops (be it yours or theirs). However, from a sold perspective, no. Even sold does not mean sold, those get dropped, deferred and converted (Virgins continue to defer the A380 which means dropped in its case, FedEx deferred 777s and picked up 767s (deferred may be dropped if there ever gets to be a 777BCF program. Ultimately the real metric is “delivered”. That is a cold hard fact that there is no playing with numbers (Airbus having rolled numbers over, in around and through, Boeing looks to be joining the movement now). A320NEO is sold out forever and that is used as a market percentage, but production and delivered are what matters. As for the A330NEO, I continue to think its far less than UH feels (200-300), but I also know he has a far better finger on the pulse. $64 question being, is this a PR game to convince Airbus to go for it to his benefit vs actually what the pulse is? Like Boeing and Airbus, its doesn’t matter if an airline fails as long as they get their money. UH does not have to hold Airbus interests at all, its his company and customers he is serving. It will be a long time unraveling though some indications if they announce. Like the 777x, lot of foh forah, but what are the firm orders vs the window shoppers? In regards to the 777, all those options and LOIs are in play as the 777X is there as well as the A350 and airlines are having to take a legitimate look at the situation for what (should be) in their best interest (JAL) vs what Boeing or Airbus thinks it should be. Like most things that is ideal, it often goes off the rails, but then watching McNenerney operate is a gone off the rails and over the agenda edge. The governing structures are supposed to be a check on that but often are not. Interesting to watch it all play out. Fact is orders and commitments get translated into “order”by most of the media. Influencing stock prices/ company appreciation. Nobody ever mentions A350 orders and commitments (1100). For the A320 family I cannot even find the options /LOI’s “commitments” on Airbus.com or elsewhere. The argument it works both ways is not correct in this case. It is clear who is trying to create media/public perceptions by presenting incomplete and apple to oranges information. Exactly. a range of reasonably well defined patterns. Never were they lumped together as sales. neither from Airbus nor the press. Now watch out for Boeing joined at the hip with the press munging all these together as reported sales. Currently only 20% of the numbers reported as sales have actually materialized. This is in lockstep with numbers of these soft sales having grown into the major part of reported orders. All this started with Concorde did it not? The whole programme if I recall was launched on either LOI’s or commitments from most of the major players of the day. In the end only BOAC and Air France bit the bullet although Singapore Airlines enjoyed a 50% livery exposure on a BOAC aircraft. The NEO is pushed by customers to drive competition. Better acquisition cost for SUH and his fellows. In essence: the minimization of non-recurring cost and the low recurring cost of the current A330 make the NEO-program attractive. Therfore minimum investment is key. If that works out remains to be seen. It is a less risky undertaking than the B747-8. Yes, maybe, if it can be done without any significant structural change. No belly landing gear at all, hence no aerodynamic refinements. If weight-neutral and drag-neutral. It also makes the aircraft identifiable as NEO. Impact of certification, so probably not. A330 is close to A380 and A350 in terms in cocpkit, so why invest. A330 NEO will be no long range aircraft. Already available on the A340-600. May be an option for dense mid range economy. I think the average seat count on A330 NEOs will be far north of the usually cited 300 seats (for the -300). Expect more like 350-400 (single class, 8-abreast, 31-32 inch allows 398 seats). Vertical tail is CFK, horizontal tail won’t save that much. The -300 cannot accomodate the weight, and there is an aircraft called A350. NEO not NWO or something else new …! Interesting picture of the cross-section. It looks like they could squeeze a couple of inches of width by reducing the depth of the floor. Could be worth doing – every quarter inch counts if you only have 16 of them to start with! The F gear is said to give neglectible drag, which I find hard to believe. If it would create room for a bigger fan diamter, it might be better then neutral. No major impact on certification and done many times before. AirAsia? Maybe new lavatory options taking less space then the many lavatory modules in the middle of the long 346 cargo bay. I think new materials, load carrying windows, standarization and available space make it less dramatic then many think. Not 787 size but, substantial. Thermoplatics have gained lots of ground on the A380 and A350. For a reason, many opportunities. If the MTOW does’t go up to much.. it seems some margin is left. The A350 has an entirely different payload – range market (from Asia with cargo).